Some things are made for each other. Like a ball game, a hot dog and a beer. 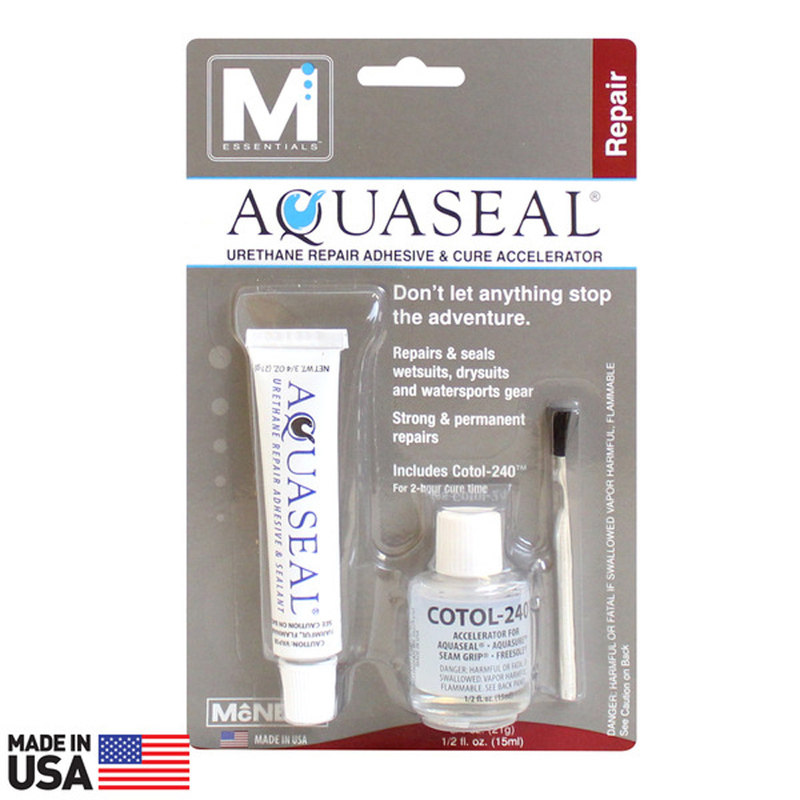 Or Cotol-240™ Cleaner & Cure Accelerator and Aquaseal® repair adhesive by Gear Aid®. With Aquaseal, you can easily repair tears and rips in your favorite waders, outdoor gear, dive equipment and watersports gear. Cotol-240 improves those gear repairs by cleaning the surface and speeding glue dry time to less than two hours; tack in 15 minutes.